To place an order for this product, click the "buy" button above. Or, to get more information about MOCAP products, call 800.633.6775 or use our Contact Request Form to receive information by e-mail. MOCAP dip molded vinyl plastic grips improve appearance and comfort for items with handles, levers or grips. 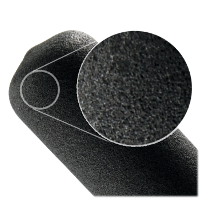 Our round vinyl grips are available in a variety of materials, colors, hardness durometers (soft, semi-rigid or hard), diameters, and lengths (some grip sizes can be produced up to 21" long) to fit your application. Consider MOCAP's double dip process to upgrade your vinyl plastic grip. The double dip process allows you to combine colors, formulas and textures to produce a unique grip that improves overall appearance and comfort. 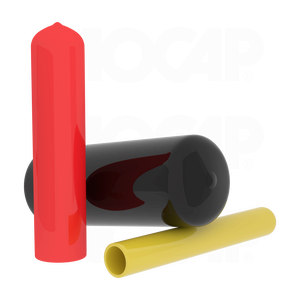 MOCAP stocks several sizes of Round Vinyl Grips in both our standard vinyl and textured vinyl materials for immediate shipment.